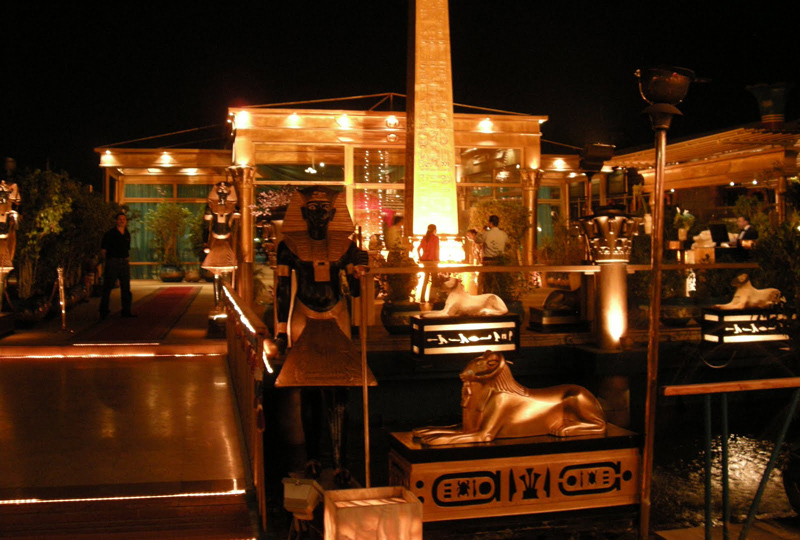 Celebrate an evening in Cairo with a glittering 2-hour dinner cruise along the iconic Nile River. 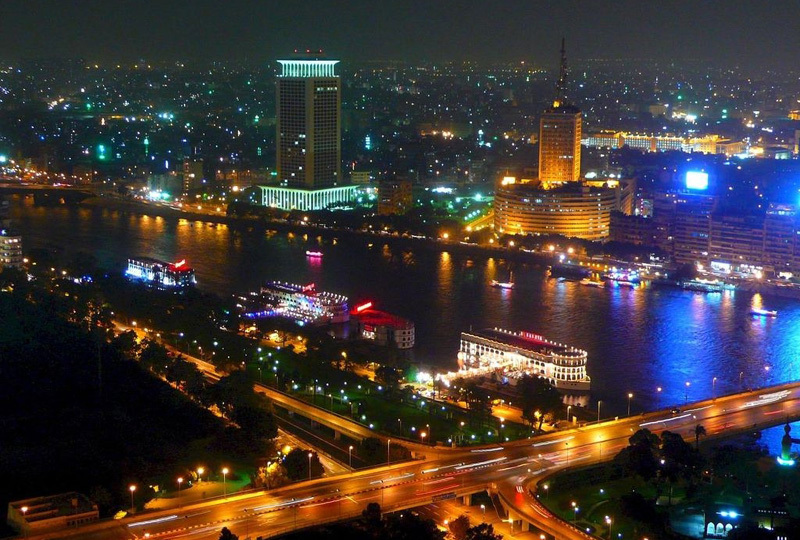 Step aboard an elegant Nile cruise floating boat, and soak up the sparkling city lights, delicious food and live entertainment as you glide along the beautiful Nile. Feast on your choice of either a scrumptious set menu or à la carte menu; listen to tunes from the house band; and enjoy an after-dinner folklore show featuring sequinned belly dancers and spinning ‘tanoura’ artistes performing to foot-tapping folklore music. 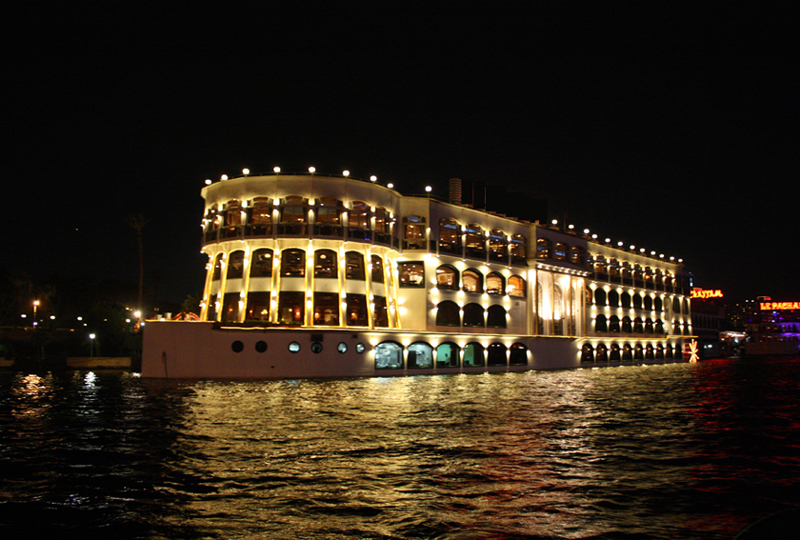 Your vessel for the evening is this Nile Cruise tour, an elegant cruiser that echoes the style of the pharaonic barges of ancient Egypt. 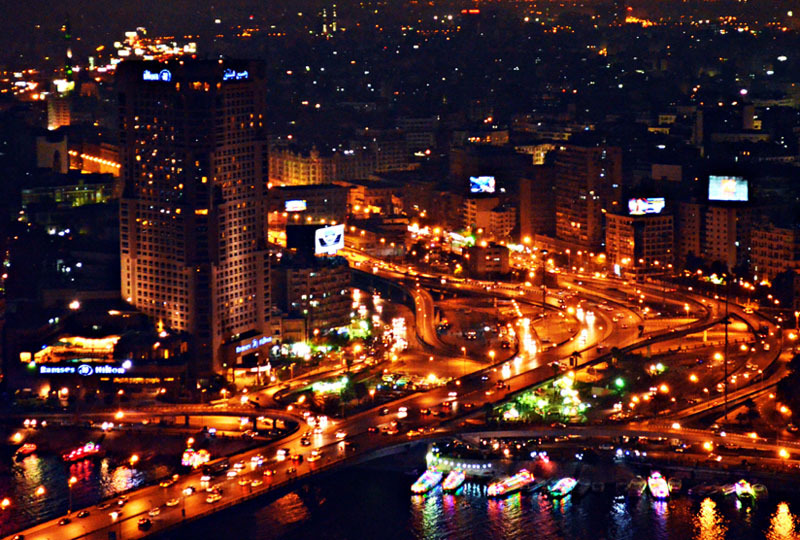 Step aboard and admire the views of Cairo’s waterfront sights as your boat cruises on the river. 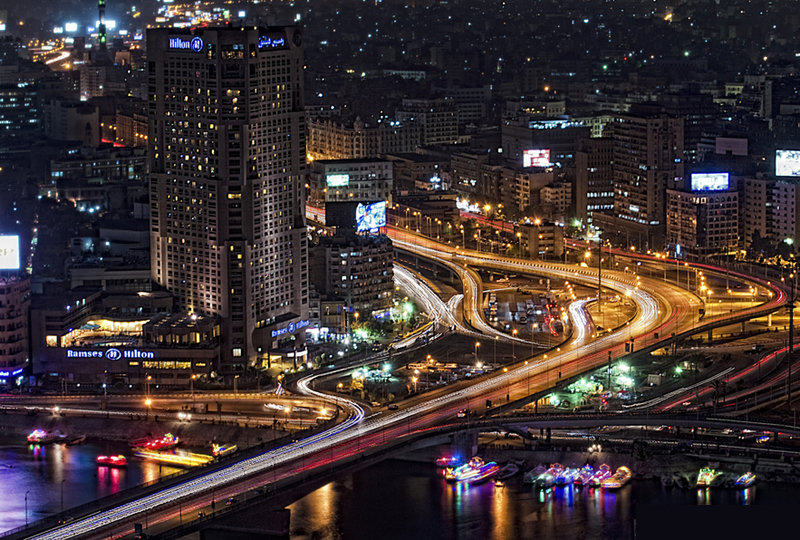 Snap photos of the city lights illuminated against the darkness and reflected in the lapping Nile waters. 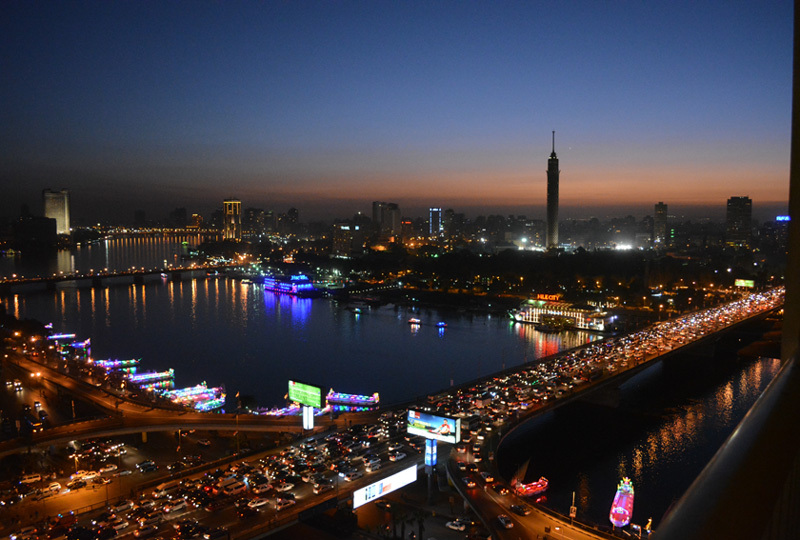 As you relax and take in the views, enjoy the mix of pop and Middle Eastern music played by the live house band. Then, feast on a scrumptious set menu or à la carte dinner. Following your meal, sit back and enjoy the sparkling live entertainment. 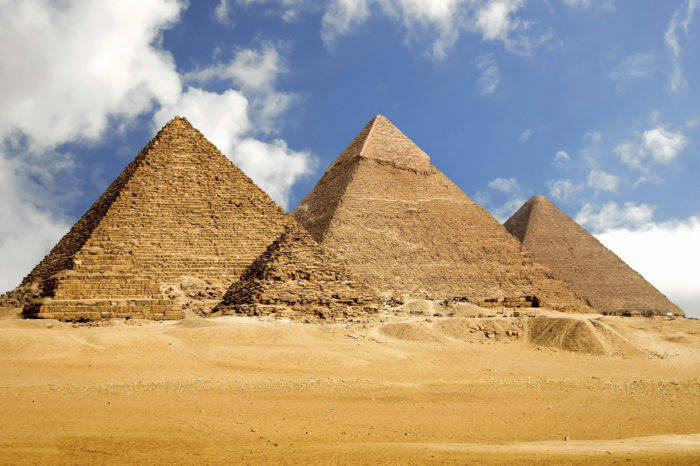 Be entertained by live folklore music and watch a colorful belly dancing and ‘tanoura’ show, the latter with wide-skirted, whirling dervish-style dancers spinning hypnotically across the floor. 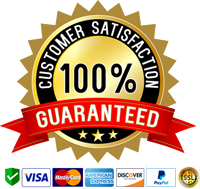 After the show, step back ashore and end your dinner cruise experience with a drop-off back at your hotel.